Wild horses and burros — iconic symbols of the American frontier — have become a priority for lawmakers and federal agencies grappling to balance the health of public land and herds of wild animals that populate Western states. WASHINGTON — Wild horses and burros — iconic symbols of the American frontier — have become a priority for lawmakers and federal agencies grappling to balance the health of public land and herds of wild animals that populate Western states. The federal government spends more than $81 million each year to manage an estimated 81,950 horses and burros under the watch of the Bureau of Land Management. And more than 40,000 of the animals, or half of that wild herd, roam Nevada, where the government controls 85 percent of the landscapes of desert, sagebrush and pine forests. But strategies to manage the wild herds and curb the growing population have created a fissure between lawmakers and the Trump administration. But BLM managers say their intent is to help the wild horses and burros while protecting public land on which they reside and forage. She said the roundups have become a necessary tool to help manage herds throughout the Western states. Overpopulation is a major problem, not only for the land, but also for the well-being of the animals, Collins said. She said the lack of water and forage, because of overgrazing, can become a deadly problem. She cited constant concern for the horses in the Red Rock Canyon area, just outside Las Vegas, as an example. The 1971 Wild Free-Roaming Horses and Bureaus Act directed the BLM to manage overpopulation of herds on public lands and protect the animals. An incentive program created by the BLM that went into effect in March provides increments of $500 to eligible people who adopt an animal. The money used to provide training and care for horses purchased for a minimum $25 adoption fee. 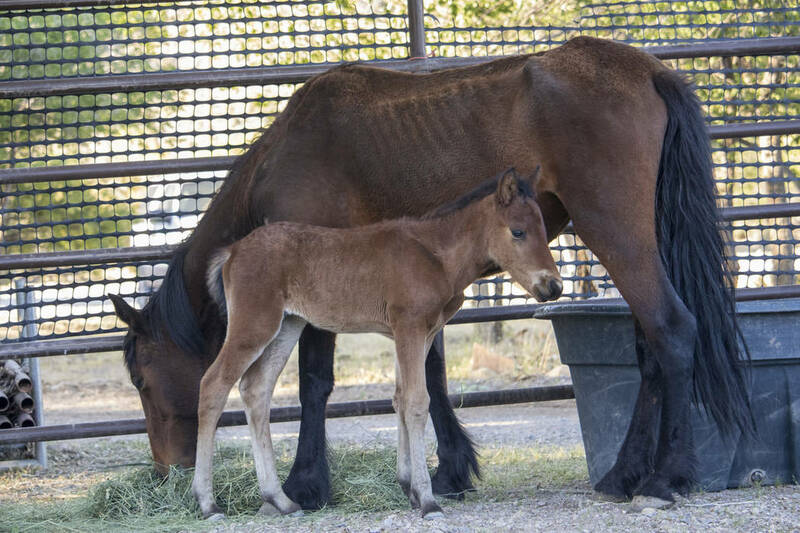 Brian Steed, the BLM’s deputy director of programs and policy, said the agency is encouraging wild horse adoptions and has provided homes for 245,000 animals since 1971. But Titus and Rep. Raul Grijalva, D-Ariz., chairman of the House Natural Resources Committee, have expressed concern to the Interior Department about how money is being spent on programs and possible loopholes in current policies that would allow “kill-buyers” to purchase adoption animals. Titus has cited an inspector general’s report that found one buyer purchased 1,794 horses from the BLM between 2008 and 2012 and sold them to slaughterhouses in Mexico, even though that is prohibited. In that case, the BLM concluded it had no recourse against the buyer because of the contract language, according to the inspector general’s report. To prevent a similar occurrence, the agency has put in place provisions that require prior approval if a buyer wants to adopt five or more horses or burros, or more than four animals in six months. But the Trump administration, pressured by livestock organizations, has sought to relax prohibitions on horse slaughter in the past two budgets. 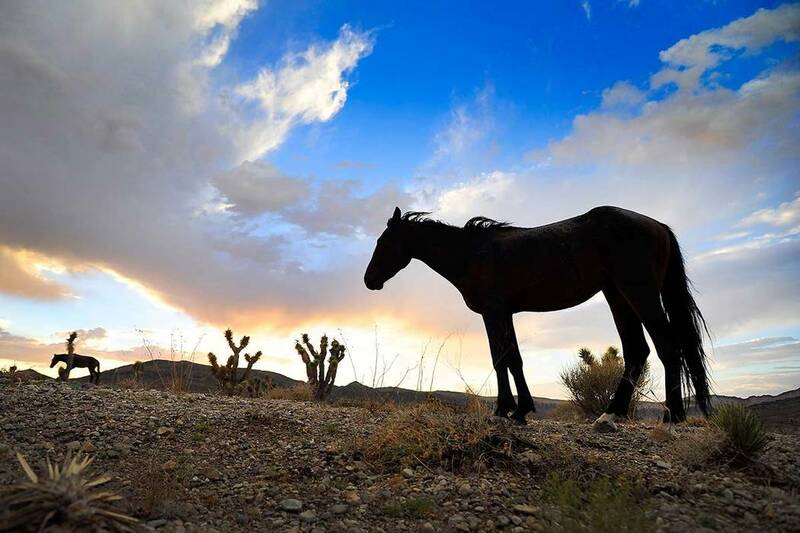 Those efforts have been turned back by a bipartisan group of lawmakers who have placed riders into spending bills to prohibit the relaxation of any current law on horse and burro slaughter and place strict limits on resale of animals to prevent commercial killing. 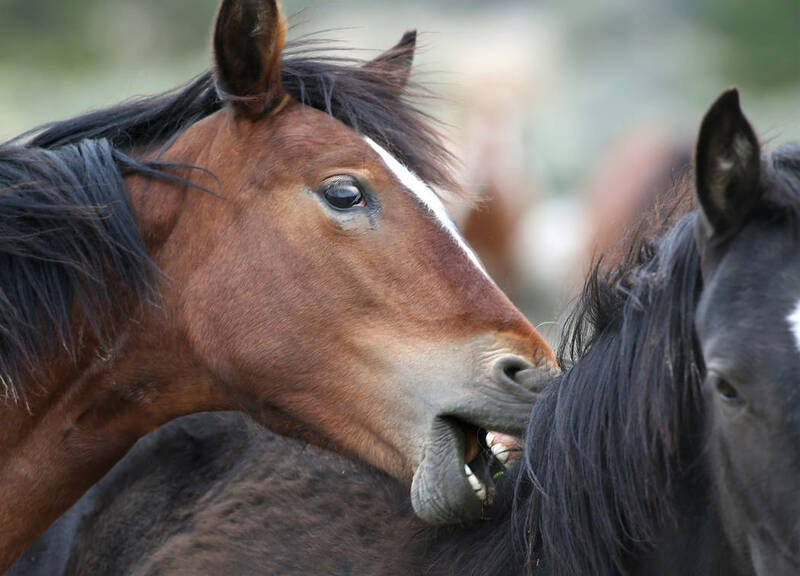 Grijalva has requested language to expand horse and burro protections placed on the BLM to cover the U.S. Forest Service, which has captured wild horses in Northern California. 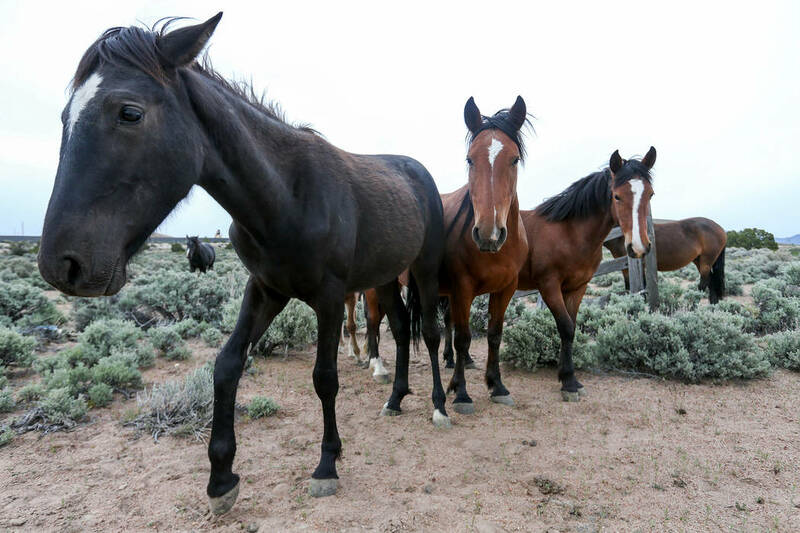 The Forest Service is working with the BLM to put those horses up for adoption. “We are just trying to get them good homes,” Collins said. She also said the BLM supports fertility growth control, noting that reproduction rates will allow herds to double in just four years. But the federal government faces legal hurdles to use some birth control agents, and in most cases roundups are needed to administer the drugs. Before leaving the Interior Department, then-Secretary Ryan Zinke told Congress he was an advocate of the roundups to reduce herd sizes, as well as neutering and spaying programs. In his final months as secretary, Zinke failed to answer questions Titus and Grijalva posed about Trump administration policies on wild horse and burro management. Now that Democrats have control of the House, and Grijalva has the Natural Resources Committee gavel, efforts are underway to provide new legislative protections for the wild horse and burro herds. 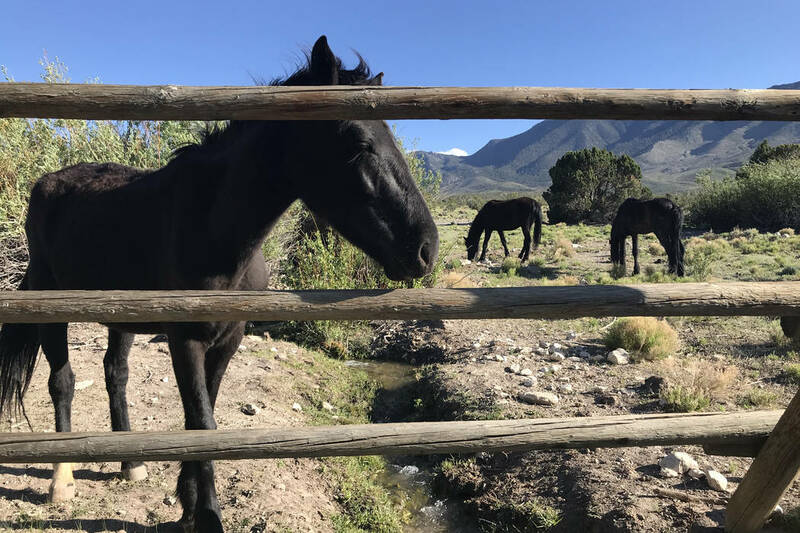 Last month Titus asked the House Appropriations Committee to place language in the Forest Service spending bill that mirrors that governing horses and burros under BLM jurisdiction.